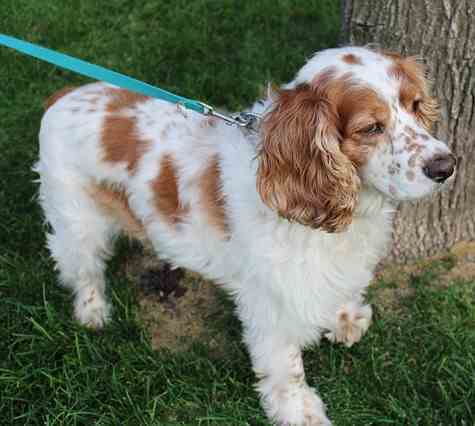 Gentle, affectionate, and loving, Cocker spaniels are the perfect family pet, and they fit comfortably into any home. These little guys, known as “Cockers” are absolutely stunning to look at with a personality to match. These fur babies are sweet, loyal, and playful—Some say the sweetest dogs you will ever meet. They make terrible watch dogs because they’re so friendly to everyone that they meet. While on the larger size of what we consider small dogs, we included them here because they still fall within the definition of small. 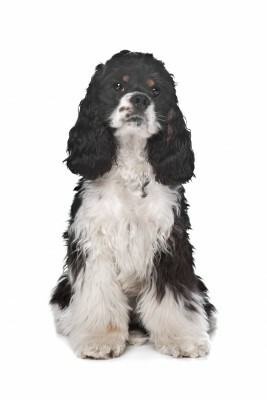 Cocker spaniels are known for their silky coat, their long, adorable floppy ears, and their dark, almond shape, eyes. It is traditional for Cockers to have dark brown eyes with an almond shape around the rim. Merle Cocker spaniels can have blue eyes. 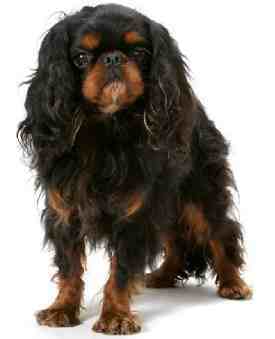 They have a very compact body, the smallest of the sporting dog breeds, and the smallest of the spaniels. These dogs are extremely special, and can be the absolute perfect dog if they are bought from a reputable breeder. Their care determines the length of their life. Raising them in a stress free environment can also prolong their life. These adorable little furry friends had popularity on their side, and are popular amongst puppy mills, breeders, Internet sites, etc. 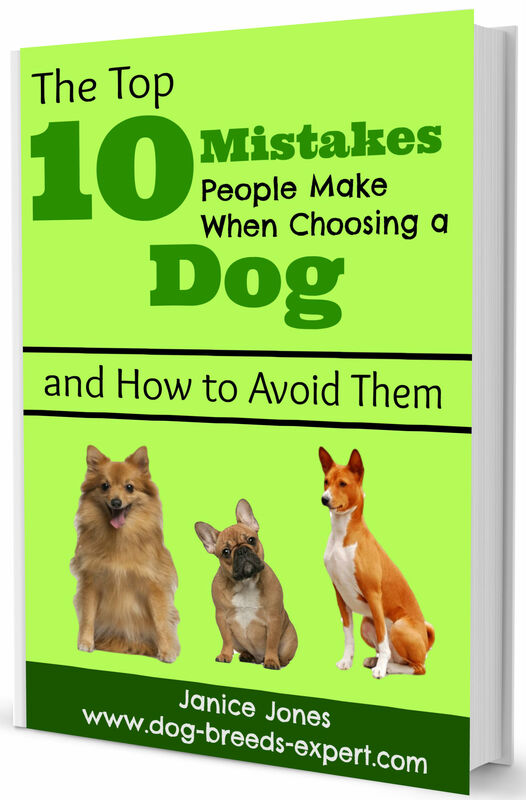 An important decision when obtaining your puppy is to find a good breeder. After that, you need to start training young and keep it consistent until they are full growth. If you are not serious in training your dog, then the Cocker is not for you. 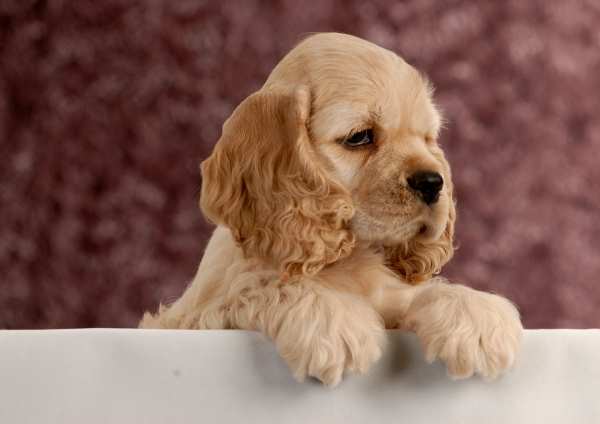 Without proper training, and good breeding, the Cocker spaniel can actually grow up to be aggressive, and can bite or snap at their owner. However with the correct training, you can have the sweetest, friendliest dog that anyone could ask for. Cockers do well with singles, couples and families with respectful children. They make a good choice for apartment dwellers or thrive in single-family homes. Both urban and rural settings are equally good for these dogs. The ideal owner will enjoy being around their dog and take the time to train and exercise these dogs. Cockers do best with active owners who enjoy walking. These dogs do shed so they may not be an ideal choice for someone with allergies to pet dander. They require a fair share of grooming so anyone who hates to groom should choose a different dog breed. 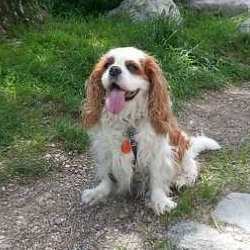 Spaniels have a long history and were revered in the literature by Chaucer and Shakespeare. They may have entered England during the Roman invasion around 55 BC. Cocker spaniels are said to date back to the 14th century and originated in Spain. They may have accompanied Pilgrims on the Mayflower. These dogs were essentially bred to hunt game bird, especially one game bird called the “Woodcock”. This is where the Cocker spaniel got its name. Cocker spaniels did not always have one name for the whole litter. The smaller dogs were called “Cockers” and the larger pups in the litter were called “Springers”. The smaller dogs were good at hunting the Woodcock and the taller litter mates flushed the flying birds from their hiding spots. Originally, Cockers were divided into two groups: the land and water varieties. The water varieties hunted water fowl and the land dogs hunted on land. From the land dogs, there the breed created many new varieties that we see today including larger ones as well as the toys. By the time dog shows began springing up, spaniels were not well organized into specific breeds. For example, a puppy might be entered into a show as a cocker one year and then the same dog be entered as a springer the next year. By the late 1880s, the first of the American cockers were beginning to emerge with OBO II being considered being the father of the American cocker. He was the offspring of a Sussex spaniel sire and a field spaniel dam. 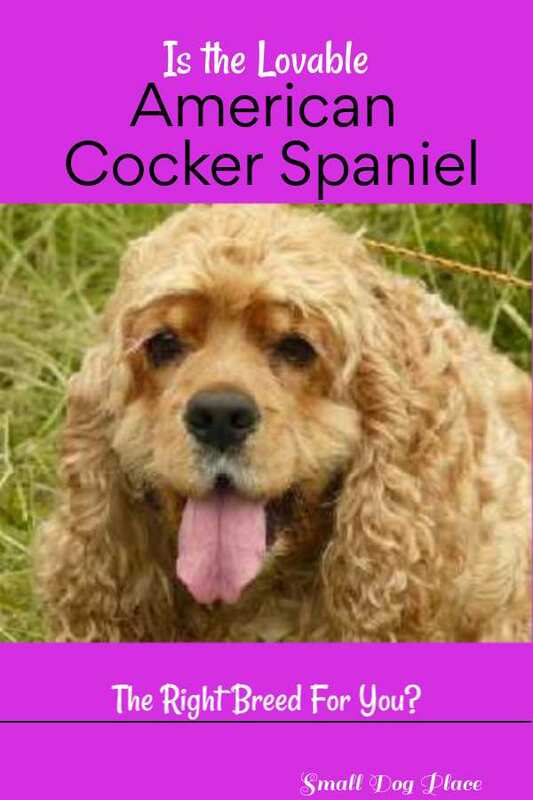 Cockers are sweet, friendly, compassionate, and gentle. They can be the perfect dog, if you get them from a good breeder. After the Disney movie Lady and the Tramp, the popularity of this breed skyrocketed. Everyone wanted one, so they were just bred carelessly which led to aggressive Cockers with poor temperaments. Some Cocker breeders did not appreciate the reputation that the careless breeders were giving to their breed.. They worked extra hard to correct the problem. It is important to find a responsible breeder that focuses on friendliness. Cocker spaniels maintain the reputation for being sociable and friendly, if socialized as young puppies. Without this important socialization, they may become shy as adults. These pups are pretty easy to train, but may be hard to housebreak as they have the tendency to be a little stubborn. Training is very important though or your perfect pup may become aggressive and territorial. These little cuties can live anywhere and do well with apartment dwellers. 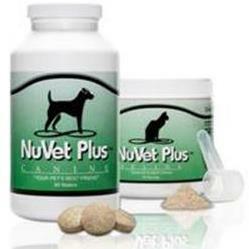 They do need exercise such as daily walks or playtime. The Cocker is versatile and adaptive and will love to do whatever you do, as long as they are getting to spend time with their favorite person. This behavior is achieved by letting your dog know that you are the alpha-dog and that you are in charge. 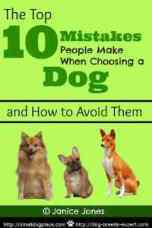 However, any dog, no matter how friendly, can develop bad behaviors when they are left alone for long periods of time. A bored dog can start digging, ripping things up, biting furniture, etc. With the proper care and training, you can have your perfect dream dog. 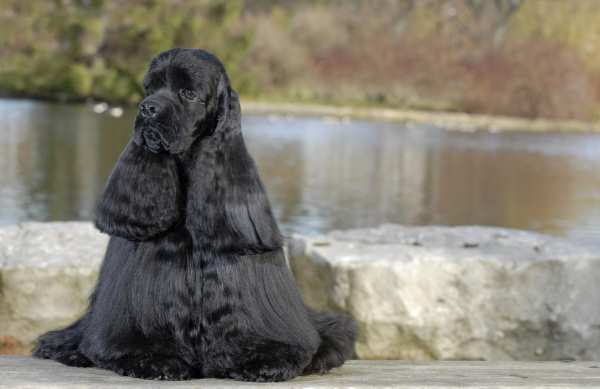 The Cocker spaniel is known for their soft, smooth, silky hair. Cocker spaniels are not the easiest dogs when it comes to grooming, which is why many owners like to keep their dog in the puppy cut. Even with the puppy cut, your Cocker needs to be groomed, bathed, and checked about every two weeks. Brushing the coat is the most important thing you can do to prevent tangles and matting from occurring. 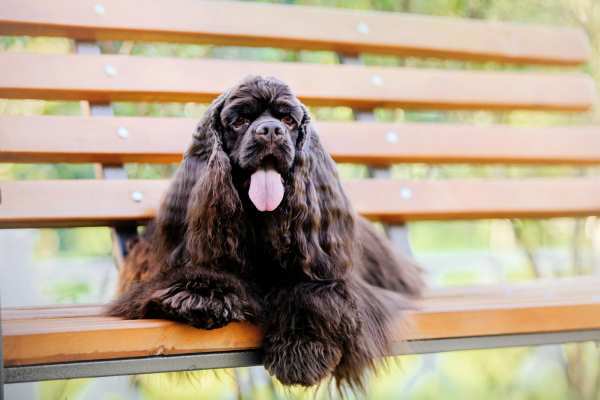 However, if you want your pet to have the long and luxurious coat that is seen in the show ring, then you will need to maintain and groom every single week. Most people take their fur baby to the groomers, but you can do it yourself as long as you are patient and persistent. 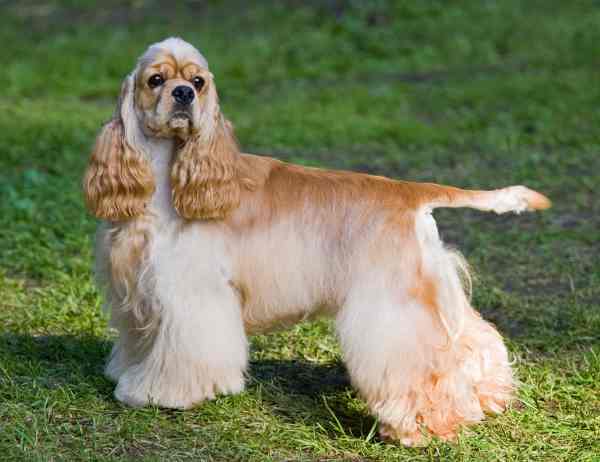 Cocker spaniels are also known for their beautiful long flowing ears, and those need their own special care too. Their ears are prone to infection, so you need check them routinely for any unusual odor or color. Also the ears need to be removed of all excess hair to lessen the chance of infection. A cotton ball placed in the ear before bath time helps prevent water from entering the ear. Wet ear canals are fertile grounds for infection to begin. While some dogs can get away with little or no ear cleaning, the cocker is one that must have his ears cleaned regularly. Other than that, all is needed is the occasional nail clipping, and teeth brushing. This breed can be prone to serious health related problems and we cannot stress enough that you should only purchase from a reputable breeder and never a pet store to assure you are getting a healthy puppy. Some Breed-related health concerns: deafness, skin problems, hypothyroidism, autoimmune disease, eye and ear problems, patellar luxation, urinary tract problems. Although Cockers are small, they are still considered part of the Sporting Group that includes dogs such as other Spaniels, Retrievers, Pointers and Setters. They don't require as much exercise as their larger cousins, but do need time daily for exercise. A romp in the yard, a game of fetch, or a rough and tumble play date with another spaniel are all good forms of exercise. If you do take your dog outdoors, assure that he is in a securely fenced area or on a leash. Don't be surprised if that "hunting dog" instinct emerges if he sees a bird or other small animal. Their favorite is likely a walk with their special human and this is something that should happen daily. Cockers are gentle people pleasers which make them respond to training. They want to make you happy. They respond to a positive approach to training but will struggle with any negative or harsh training methods. Many owners will go beyond the basics and teach agility, or field work skills. Others find that their dog does well as a therapy dog. Each dog has unique dietary and feeding requirements so relying on what a friend feeds her dog may not provide what your needs. A high-quality dog food that contains one or more named protein sources such as chicken or turkey as the first ingredients is a must. Foods whose main protein source is corn, wheat or soy will not contain the necessary ingredients for a healthy lifestyle. Learn to read dog food labels so you know what you are putting in your dog's mouth. Cockers can thrive on a variety of different types of foods including kibble, can, homemade or raw as long as the quality is present. A full-grown Cocker, depending on his size is likely to eat 1 1/2 to 2 cups of food per day. Treats are a good addition to any training session, but don't overdo it with high calorie treats. Choose lean meats, vegetables and fruits. Cocker Spaniels are people loving dogs, but like other breeds may be prone to certain behaviors and problems that are not quite the norm. Click on the image to be taken to the breed profile page. 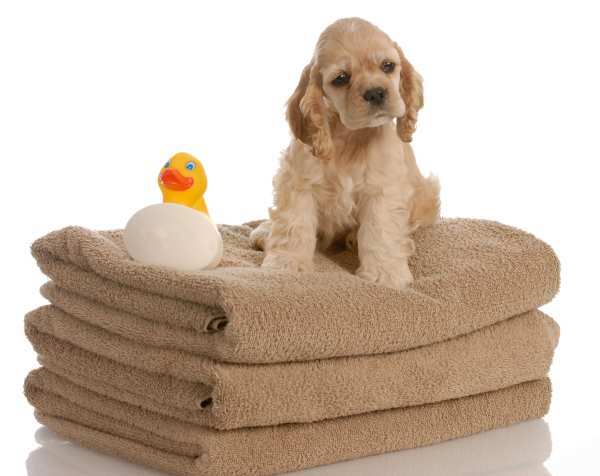 Sign Up for our Free Monthly Newsletter and Get a Free Gift, Especially for You from Small Dog Place.